As a professional writer, you probably don’t need any help structuring your essays, stringing together coherent sentences, or splelling werds proparly. Or maybe you do need some help. Microsoft Word’s spell check only goes so far, and I know that I often have to look up some of the nitty gritty formalities of writing, such as when to hyphenate and whether or not to capitalize internet (the rules recently changed). In the latest piece of our series on tools for writers, we’ll offer up some of the resources you can use when you’re editing your work. Many are classic resources that are now online, but you’ll probably find some new things to use. When you’re writing your first draft, you start to get into the flow of things and the words just come flying out across the screen. It’s brilliant! You’re brilliant! Before you send it to the client, though, you have to go through it. And that’s when you realize that you’ve overused a few words. Maybe everything was “great,” “tasteful,” or “lovely.” Maybe you kept talking about “customers” or “students,” and it’s just sounding repetitive. You need to change up these words, and it’s easy to do with Thesaurus.com. Just type in the word and look up their suggestions. Another problem I really struggle with sometimes is coming up with the right word. It’s on the tip of my tongue (or should I say the ends of my fingers?). In situations like this, the Tip of My Tongue site might help you. 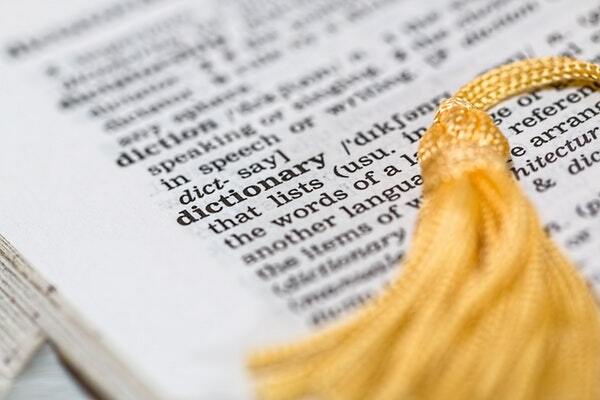 You can enter in some information about the word you’re looking for, and it may turn up the right word. It doesn’t work all the time, but it’s a good place to start. These days, a lot of writing tends to be less formal. People want to read pieces that sound like someone’s talking directly to them. And that means that you can break some of the normal rules, like starting a sentence with a word like “and” or writing a sentence that doesn’t have both a subject and a predicate. Other times, you’ll get a client who wants a bit more structure. They may have their own particular style guide, but often, they’ll ask you to follow either AP or Chicago style. The AP Stylebook and Chicago Manual of Style both have online versions that you have to pay for. For those who don’t want to pay, the Purdue Online Writing Lab has excellent AP and Chicago references. Flowery descriptions work well in certain types of writing, but most of the work that freelance writers take on requires a more direct, succinct style. Old habits die hard, though, and it’s sometimes hard to see where you’re going wrong. To fix this, check out the Hemingway app. Named after Hemingway’s concise writing style, the tool will analyze what you’ve written, highlighting passages that are too wordy. It will give you a readability score and highlight words or phrases that you may want to re-think. You might cringe every time you see someone type “your” instead of “you’re,” but that doesn’t mean you aren’t occasionally guilty of making similar mistakes. Those types of mistakes aren’t always caught by something like spell check. Instead, use Grammarly. The free version will catch most of your mistakes — including things like passive voice — while the paid version takes an even closer look to help you improve your writing even more. You can upload your document on their site or use browser extensions to check your writing in real time. If you’d just like to have some fun with grammar while learning things that could help you with your writing, check out Grammar Girl. There’s a regularly updated blog and even a podcast that you can listen to while driving or working out. Interviewing expert sources is the right way to get those unique, highly-specific quotes you need for your piece, but sometime your writing just needs an inspirational quote from literature to create the right mood. For those times, you might turn to the online version of the classic Bartlett’s Famous Quotations. It’s an especially good choice when you know who said it or where it came from, and you just want to get the full quote. Another option is the Fagan Finder. It has quite a few extras, allowing you to look up things like cliches or song lyrics. Finally, Brainy Quote has a nice interface for those times when you’re not looking for anything in particular. They display a variety of quotes that might just inspire your next writing idea. In a casual piece like you might find on a blog, the citations tend to be more casual. You usually highlight some related text, then link to your source. If you have more formal writing assignments like white papers, though, you probably need some guidance on how to formally cite your research. Since there are so many different styles for writing citations, we think that you should check out the comprehensive resources at the Purdue OWL. They’ll give you the formatting you’ll need for APA, MLA, Chicago, or AMA styles. You’ve got good writing skills, but everyone can benefit from tightening up their prose. With these tools, you’ll quickly be producing top-notch work.